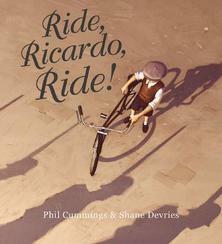 Jacinta Dimase Management - Literary Agent: Ride, Ricardo, Ride! Ricardo loved to ride his bike through the village. He rode under endless skies, quiet and clear. He rode every day … But then the shadows came. Shortlisted for the CBCA 2016 Picture Book of the Year Award.